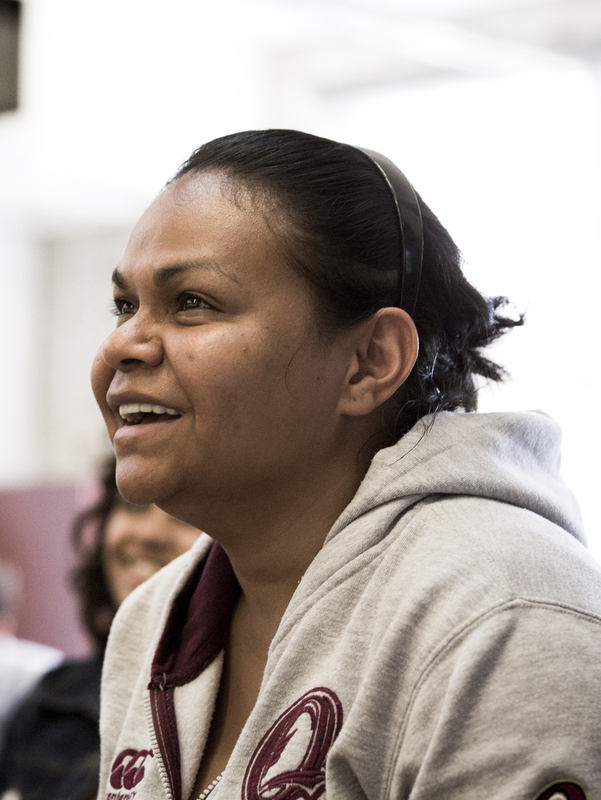 Actor, singer and writer Ursula Yovich (A Christmas Carol, Snugglepot and Cuddlepie) will be announced as the winner of The Balnaves Foundation Indigenous Playwright’s Award 2016 at an event at the Belvoir St Theatre on Tuesday 14 June. She will win a commission to write a play that touches on traditions and rituals in Indigenous culture that are little known to the non-Indigenous community. The award will be presented by Hamish Balnaves, General Manager of The Balnaves Foundation. Yovich has won The Balnaves Award with a pitch for a play about a woman who has been estranged from her Indigenous mother. When her mother dies, she travels from her home in Sydney to Darwin to look after funeral arrangements, and soon discovers a host of traditional customs she must navigate to honour her mother. As she deals with her grief, she also must come to terms with a lack of cultural knowledge about her mother’s people and how that impacts on her Indigenous identity. Ursula Yovich in rehearsals for A Christmas Carol. Photo by Brett Boardman.